Guesthouse in regional style (1011m a.s.l.). Family atmosphere. 200m to the ski lifts and tourist walking sights … More » . Upstairs - dinning room with a fireplace. Pool table free. Double and triple rooms with LCD TV(additional beds available). Parking. WiFi free of charge. 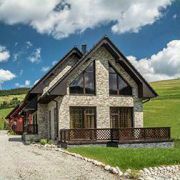 Accommodation in the newly build cabins, situated in the mountain village Zdiar. Zdiar offers a lot of opportunities … More » how to relax and spend a time. You will never forget your vacation in cabins Winter and Summer. 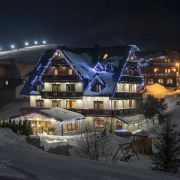 Guest-house is located in distinctive Tatra village Zdiar, embraced by Belianske Tatry. We offer accommodation … More » in rooms with sanitary facility. Possibility of half board. Guests can use billard, table soccer, darts, grill. 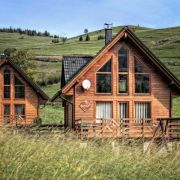 Comfortable guest house Victoria is situated in a quiet environment of Belianske Tatras, an ideal place for beautiful … More » summer and winter holidays. We offer rooms with 4-4 beds, own. sanitary facility, TV/SAT, balcony, minibar, safe and WiFi internet throughout the house. Restaurant, parking. 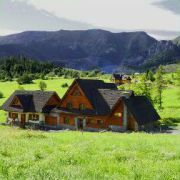 Guest house is situated in village Zdiar in the surrounding of beautiful mountains Belianske Tatras. We offer accommodation … More » for whole year around, which is ideal for families with children, couples or large groups. 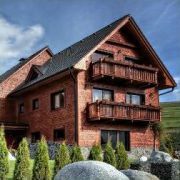 Luxury accommodation in a unique wooden house 4seasons in beautiful scenery of Belian Tatras. You will never forget … More » to stay in this virgin nature. 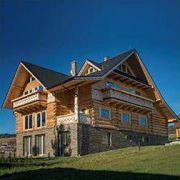 Newly built cottage with a beautiful view of the Belianske Tatras. 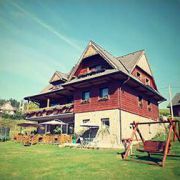 We offer comfortable accommodation in in beautiful countryside of picturesque village Ždiar. This village, with … More » its typical traditions, folklore and culture, is one the jewels of Slovakia. Accommodation is provided in rooms with 2-4 beds and 2 apartments.